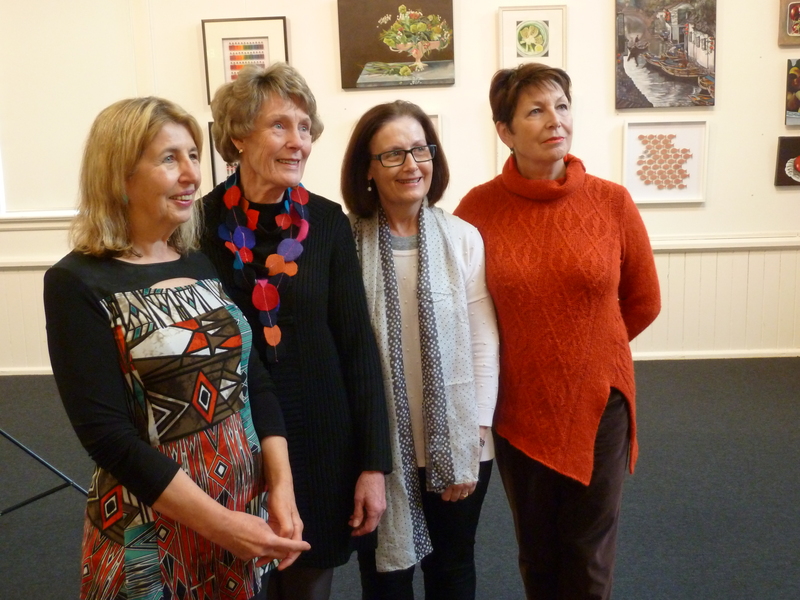 Despite the wintry evening, a wonderful crowd of around 130 people came along to the Pepper St Gallery, Magill, for the opening of our Inside, Outside exhibition on June 12th. 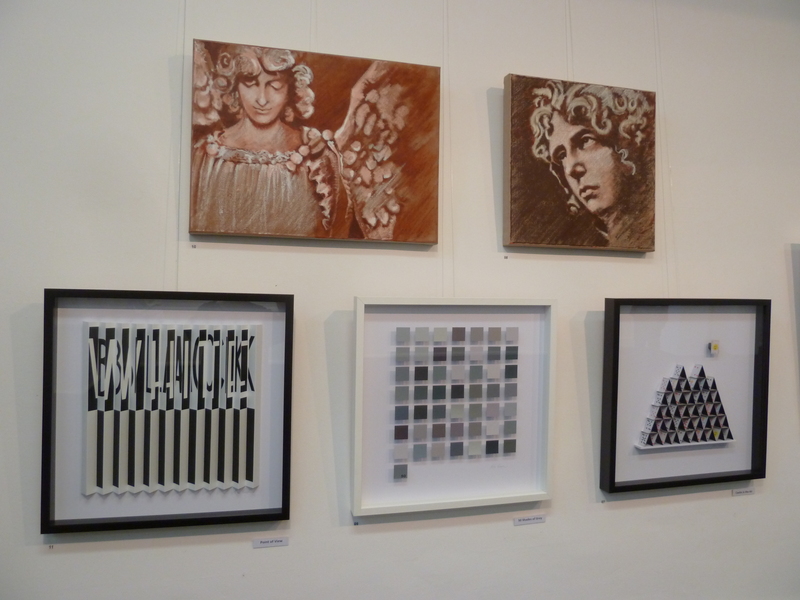 This time only four of us from Ingroup exhibited. 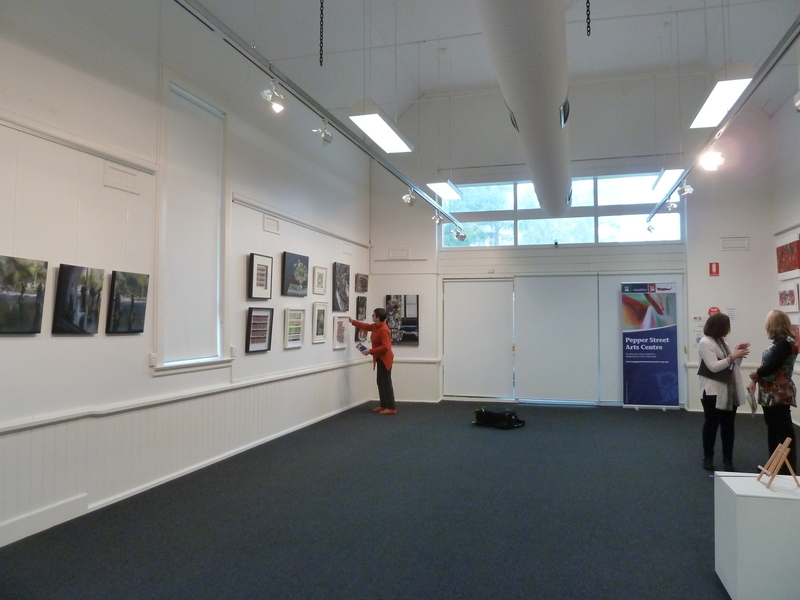 This meant we had to work very hard in a short space of time to ensure the exhibition was varied, challenging, and well presented. We were delighted with the result and public response. Helen, Rae, Hannah, and Sue. 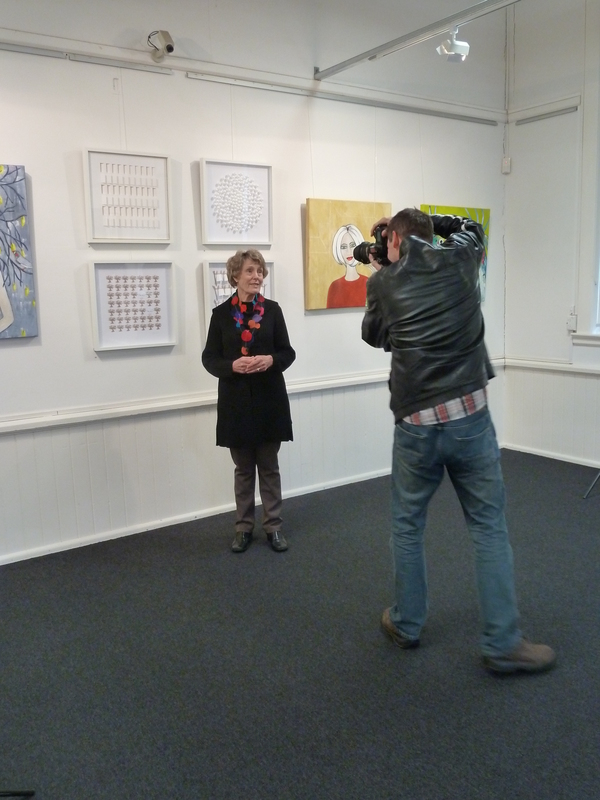 The exhibition was opened by well-known SA artist and dancer, Anni Luur Fox. 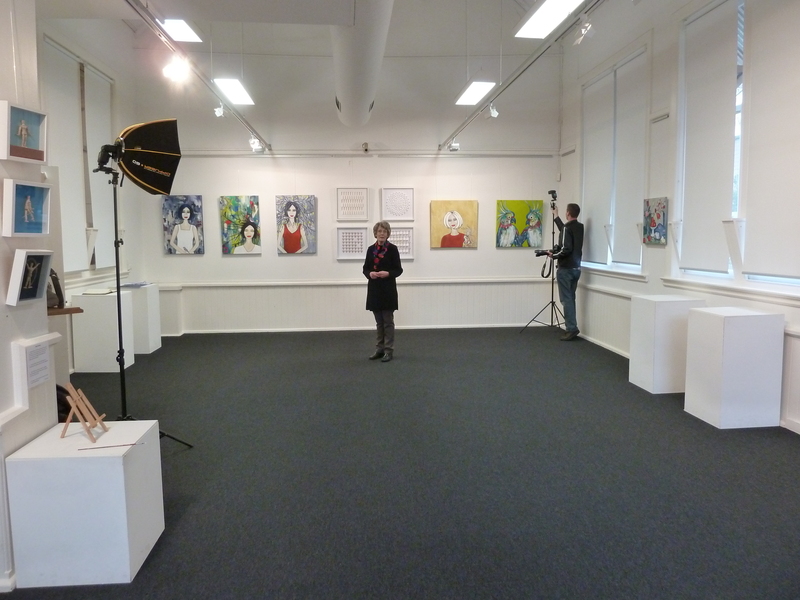 Anni’s presence was especially meaningful for me because Anni and I attended art school and teachers’ college together. 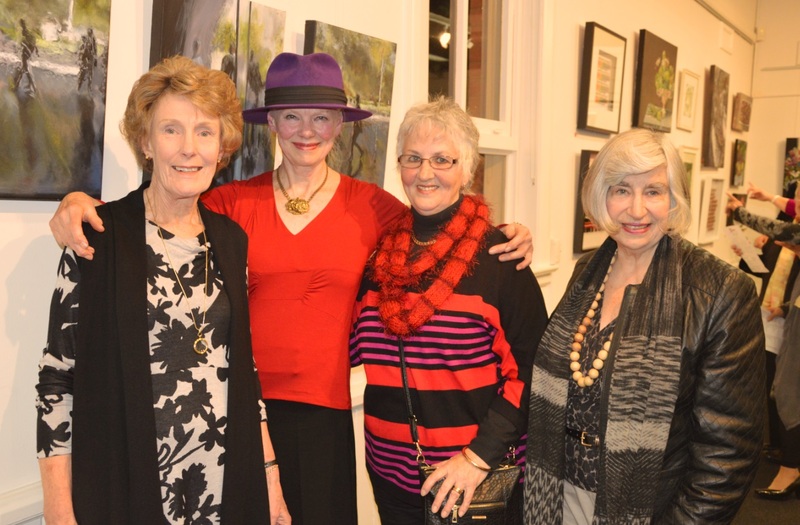 A delightful surprise on opening night was that two other of my friends and colleagues from art school (Joan and Iolee) also came along. Rae, Anni, Joan and Iolee. I was also invited to submit material for the local press in The Messenger. 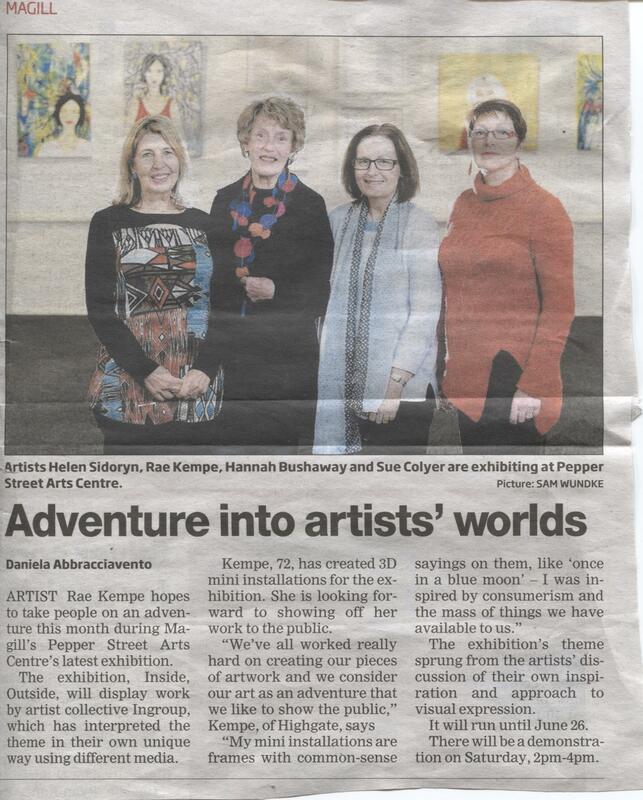 The photo and article in The Messenger, the week before the exhibition opening. 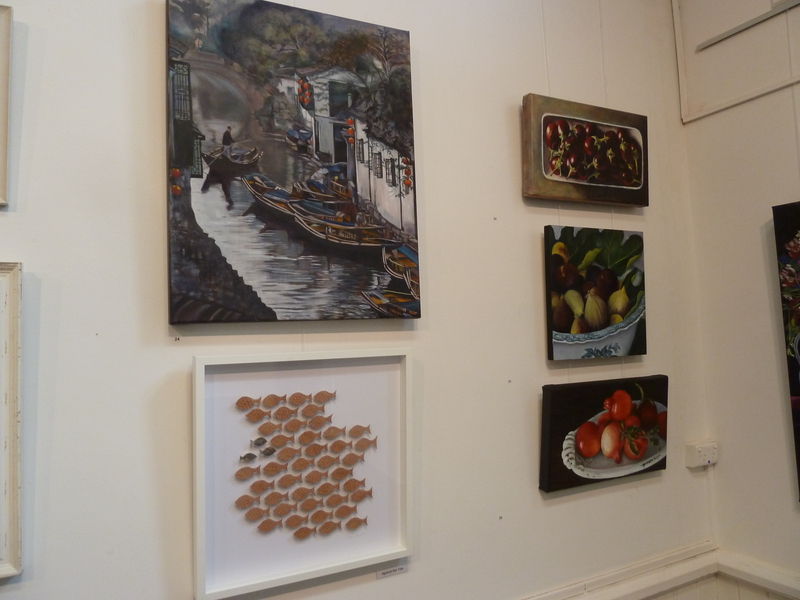 And here are a few photos of parts of the exhibition, taken before opening night. 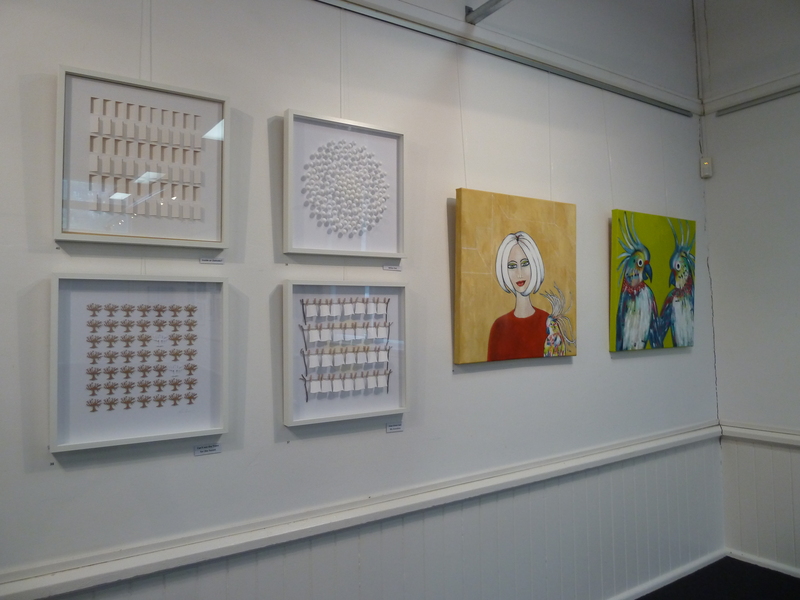 To view pictures of the works I exhibited this time, Click here.